Everything started with a play named Absence. I thought of creating a scene on my own absences – my mother and my father. 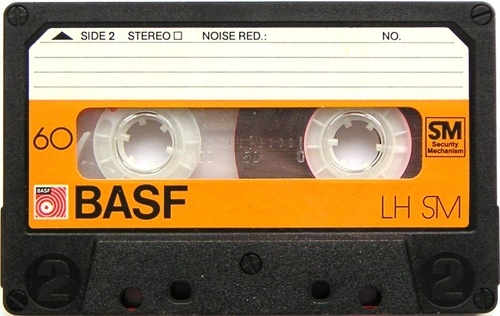 In it I played a cassette tape with the sound of me and my mother talking. I was just 3 and the conversation was at the same time funny and sad to me. After this I opened some letters that I exchanged with my father since I learned how to write. In the presence of an audience I discovered that simple things of our daily lives can be an explosion of emotions in the audience. I sticked a photo in a transparent plastic round surface that was put between me and the audience. The photo portrayed my parents with me in their arms when I was just a baby. – Camila, do you like John? – Camila, do you like Mary? The recording was at a time funny for the tone of rejection from the child and dramatic for the emotion of a small child talking to her mother – in that case, it had such importance for the fact that the voice was mine, I was talking to my mother who had died some years later after that recording. Meanwhile, I sat on my knees and listened to the recording, with a wistful expression, amused me and thrilling at the same time. My expressions were not artificial, the movements were not crystallized, there were no other instrument beyond my behavioral possibilities. And every day that I did heard the voice of my mother in the performance, they were very strong moments I’d experienced in front of an audience. I had just heard this recording two or three times in my whole life before this performance. For me, it was always difficult to face that pain. When the part of the tape finished, I was sitting next to an opened little box and began to read the letters that were in there. Those were letters written by my father for his mother, for me and my letters for him, since I learnt how to write. In those letters people could see the different times of my life, since I was a child, with my mother, after her death, until my father’s death. In all the presentations I followed the same steps, so I wouldn’t get lost in my emotions. There was a script of the scene, which I created, but without rehearsal. I was free for the moment. I would provide the rhythm of speech and movement. Listen the conversation, it was the voice of my mother with me, a moment that it would never come back. In my hands, there were photocopies of letters I received from my father one day, moments of my life, still learning how to write. With such memories, I return to my story, my life, reaching a truly emotional state, without representation.